Manipulating depth of field is one of the benefits of shooting with a dSLR over a point and shoot camera. Sometimes if I see something interesting happening I’ll choose to frame the shot with something the foreground rendering my subject blurred in the background. 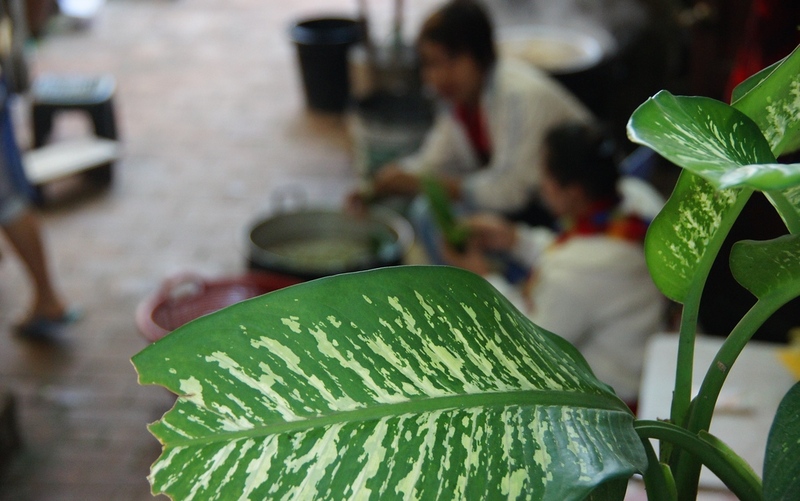 This particular photo of some Laos vendors preparing vegetables with a leaf in the foreground is a perfect example of this technique. Instead of making the photos sharp in all areas I’ve decided to go with this creative method. This is a travel photo from Luang Prabang, Laos. To view the rest of my travel gallery from Luang Prabang, Laos click on the photo.